When we consider the different aspects of keeping our pool water sparkling and crystal clear throughout the summer, one of the most often over-looked aspects to water clarity maintenance is filter cleaning. When a pool's filter is not working up to capacity, its water will obviously suffer, with cloudiness and algae being the end results. This article will discuss the two main types of filters used by our customers and the proper cleaning for each medium. 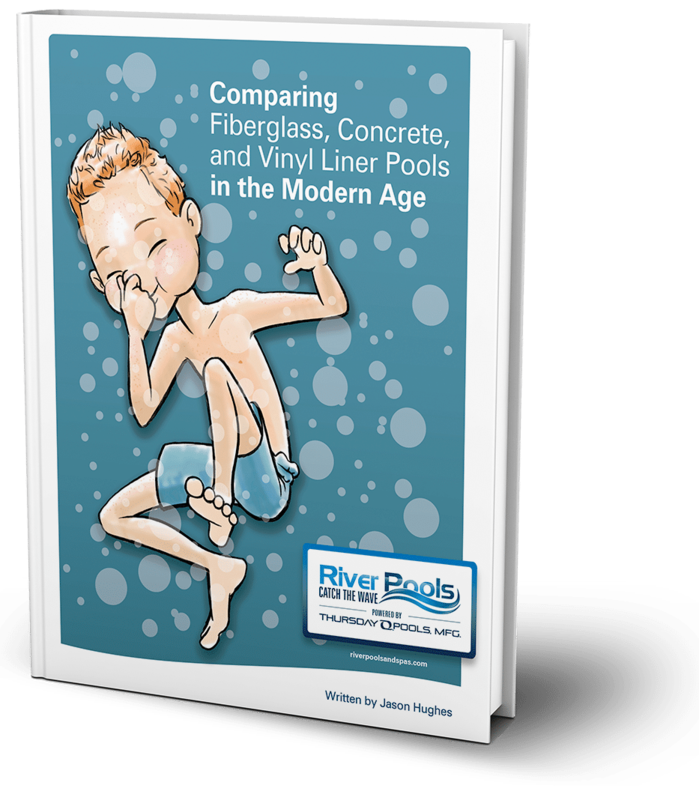 How Much Is My Fiberglass Pool Really Going to Cost? During the months of July and August, algae can be a very big problem for swimming pool owners. With the higher temperatures during these months, as well as inconsistency in a pool's sanitizer levels, algae can rear its ugly head. Algae is a single-celled plant form. It uses the process of photosynthesis to manufacture its own food. It comes in a very wide variety of colors and forms, making it adaptable to almost any condition. With the summer soon coming to a close, the time to cover your pool for the winter months approaches. Many of you may already have a winter cover that you're happy with. Others may be curious as to the options that are available. This article will talk about the three main types of pool covers and the pros and cons of each. What is the Best Small Pool Design for a Small Yard? With real-estate being a premium even in difficult economies, many backyards today simply don't have a whole lot of space. This being said, just because you have a small backyard doesn't mean you shouldn't consider installing an inground swimming pool. In fact, a small yard can really flourish with the addition of a small pool design and all it has to offer. This article will discuss some of the common questions associated with installing an inground swimming pool in a small backyard. One of the first questions a pool shopper asks themselves when they begin the process of buying a swimming pool is: How much does a pool cost, and what are the expected prices for the different types of swimming pools? Unfortunately, many people run into a roadblock when they research online as to how much an inground or above ground swimming pool really is going to cost. This article will attempt to answer this important question, but keep in mind that pool prices can vary drastically from region to region. If you look back just 10 or 15 years ago in the swimming pool industry, you'll find that roughly 90% of all inground swimming pools had a diving board. But today, the trend has done an almost 180-degree turn. Here at River Pools, we see 5 reasons why diving boards have now practically become extinct.